The last time Pink wore a big poofy gown (just a couple of weeks ago, in fact), we had a problem with it, mainly because it was kind of standard and unimaginative. We maintained that she could pull the princessy style off if she chose something bolder and possibly a little edgier. We would probably hate this gown on 99% of the people who tried to wear it. It’s just a bit too sickly-sweet; almost a costume more than an actual dress. 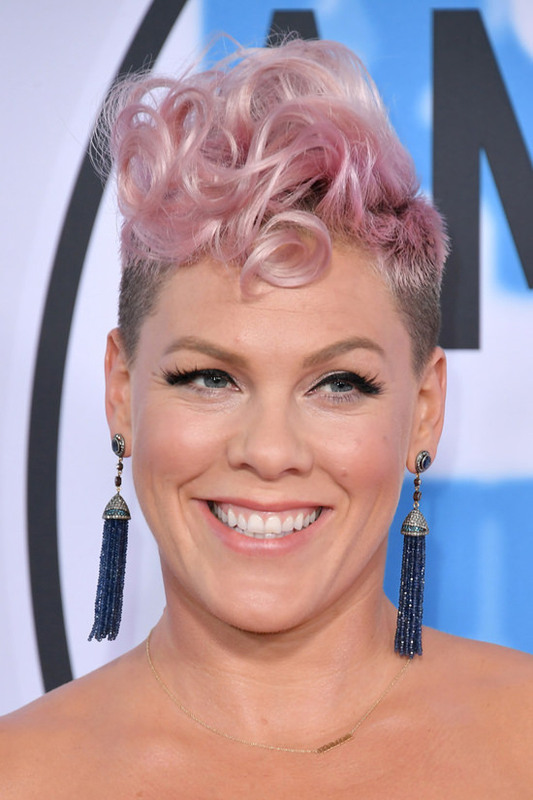 But that Disneyfied stuff does something when it comes in contact with Pink’s bold-girl persona; not to mention her signature hair. She was seen wearing a leather moto jacket with this look inside, and that makes perfect sense to us. But we actually like the purity of the look without it. It’s tough-girl meets Cinderella and the juxtaposition is fun and exciting. Plus she just looks great.